The annual One Young World (OYW) Summit brings together the brightest young leaders worldwide (over 1200 of them aged between 18–30) from global and national companies, NGOs, etc., to formulate innovative solutions for world challenges alongside presidents, prime ministers, Nobel Peace Prize winners, global company CEOs, and other influential world figures. These figureheads include President Bill Clinton (former president of the United States), President Mary Robinson (former president of Ireland), Kofi Annan (former United Nations secretary general), Muhammad Yunus (founder of Grameen Bank and Nobel Peace Prize Laureate) and Sir Richard Branson (founder of Virgin Group). No other youth forum utilizes this concept, and no other youth gathering except the Youth Olympic Games brings as many nationalities as One Young World (196 nationalities). 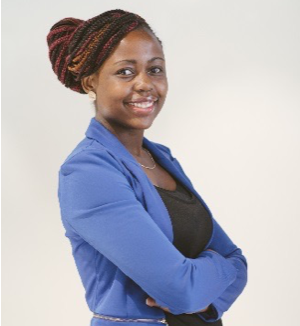 Esther Mazvidza, a Junior Associate Expert in the Natural Sciences Sector at the UNESCO Regional Office for Southern Africa has been selected to attend the 2016 One Young World Summit due to her impactful work targeted at addressing the underrepresentation of women in STEM careers, in particular, the L'Oréal-UNESCO for women in science sub-Saharan Africa fellowships which cover the 48 Sub-Saharan countries, where she serves as one of the administrators. Esther was selected as one of the 100 Africans to attend the 2016 Brightest Young Minds Africa Summit in Johannesburg, South Africa (sponsored by the Barclays Africa Group) and led facilitation of the capacity building session on the use of Science, Technology and Innovation for adaptation to climate change at the 9th UNESCO youth forum in Paris, France. The highly pitched OYW summit is a great opportunity for her to promote and advocate for women's engagement in STEM alongside world-renowned leaders, other attending delegates, and the publicity from the 200 international media companies, e.g., CNN, BBC, Aljazeera, and CCTV America, which cover the summit. At present, women who comprise more than half of the world population only constitute less than 30% of the workforce in STEM, thus showing a decreased capacity in driving development. Unless more women and girls are motivated to take up STEM disciplines using platforms such as One Young World, Africa will trail behind in terms of research and technology.